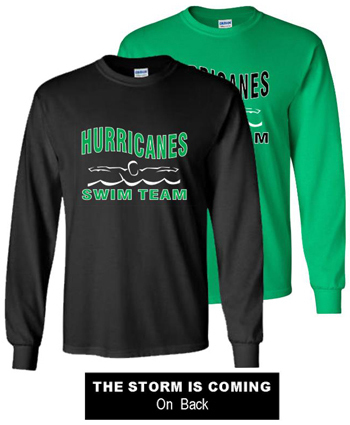 • Orders are distributed by Fox Mill Hurricanes Swim Team at approximately the June 9 practice. 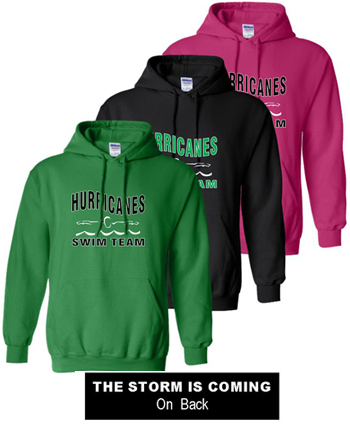 Select Color and Size and Customization Option. If adding name, please enter it in the cart text box. 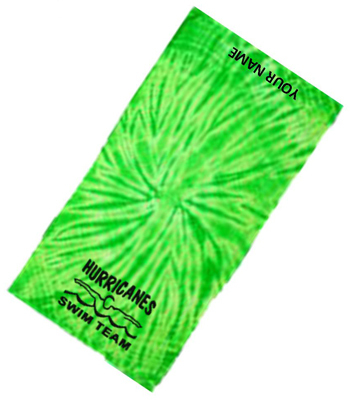 Tie-dye goes to the beach in a sun-bright lime green towel. 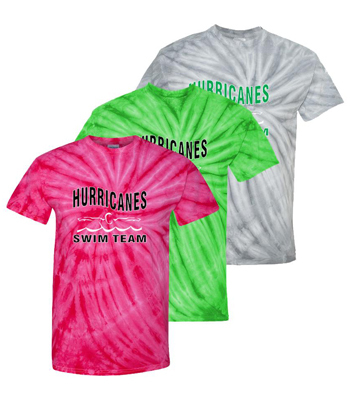 .14.0 oz., 100% cotton. Measures 30" x 60." Add name to blanket for an additional $5. Select Customization Option. If adding name, please enter it in the cart text box. 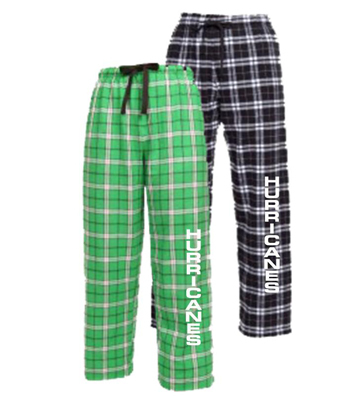 * elastic on relaxed waist stretches about 5"